This practical, informative booklet will expose the many nutritional, environmental and other underlying causes of allergies. Dr. Colbert presents insights from some of the top medical researchers in the world on allergy treatment, diagnosis and prevention. 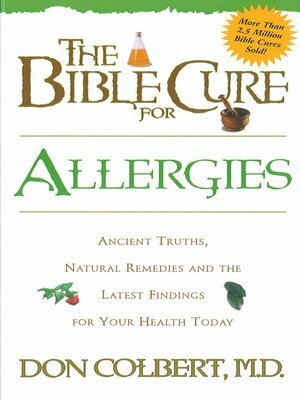 Dr. Colbert's extensive training in alternative therapies for allergies makes this booklet especially helpful for allergy sufferers who have spent thousands of dollars on medicines over the years.